Ideas for Bridal Shower Invitations! Our great selection of ideas includes our unique printable invitations. Top ideas and wording guide for Invitations! Fully personalized and homemade Invitations for showers are not only easy to make and print with the addition of photos or graphics but are also cheap to make! In the current economic climate it makes sense to make your own invitations - it's cheap to make homemade Invitations and is also fun. In this section we have included ideas for homemade invitations which are cheap to make and fully personalized to suit the bride-to-be. So get creative and make some great homemade invitations! Wording Guide for Bridal Shower Invitations! We have included a free Wording Guide and layout template with great ideas on how to create and design a Bridal Shower Invitation with appropriate wording. A free online wording guide and template to enable you to design personalized or homemade cards! Bridal Shower Invitations - Wording! Our wording guide for Shower Invitations are short and to the point! The name of the person who is hosting the event and the name of the person who is being invited. Where the event is being held. The reason for the celebration. The Date and the Time of the event. And finally how to reply! Contact info (address or, if an informal invite, telephone number, FAX or email address) must be included. A RSVP note requesting a formal written reply. If it is an informal party then explain how to reply by telephone, FAX or email. And finally the date the reply is required. Homemade Invitations are guaranteed to be unique and fully personalised. We have provided a great selection of famous Bridal quotes, sayings and verses to add to your cards to ensure a unique invitation wording. You can choose a quote, poem, verse or saying from our selection to ensure your Invitations are unique! The following poem contains some perfect wording for a newborn and could make a lovely addition to invitations. 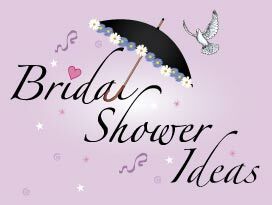 Bridal Shower Invitations - Hints and Tips! Decide on the theme of the occasion and extend the theme to the invitations. Decide whether you want to adopt a Formal or Informal style card and whether the 'look' should be modern or traditional. The colors and graphics used on the Bridal Shower Invitations should also complement the theme of the party. And finally decide on the type or format of your invitations and cards - whether they should be Postcard style invitations or folded notelet invitations. Throw a party! Themes! Cards! Notes!! Party Hosting Hints, Tips and Ideas for Invitations! Bridal Shower Invitations and Ideas! Top Tips! Our selection of Bridal Shower Ideas includes our unique printable Bridal shower invitations. Top ideas for Bridal Shower Invitations! Fully personalized and homemade Bridal shower Invitations are not only easy to make and print with the addition of photos but are also cheap to make!